Royal Corinthian’s square tapered or craftsman PVC column wraps come standard as 2 corner halves to be assembled around a structural member on site. These columns are made from 5/8” thick cellular PVC sheets and can be made up to 48” by 20’ tall. 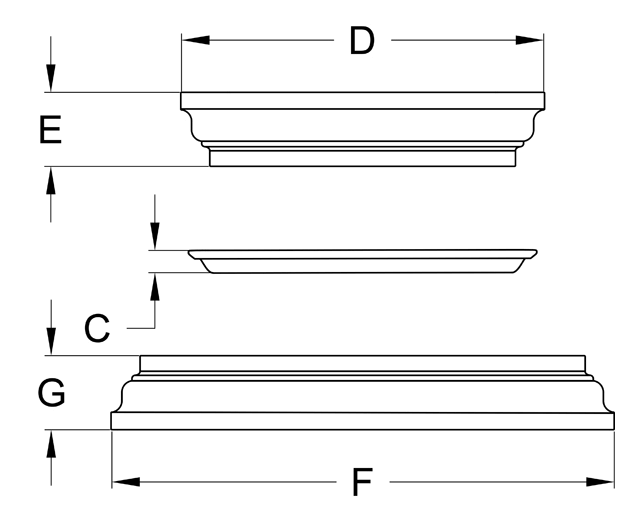 In addition to the plain tapered (P-T), raised panel tapered (RA-T), and recessed panel (RE-T) tapered styles shown below, we can make these column wraps into virtually any style you have envisioned. You can see more style ideas in our non-tapered PVC columns section. Like wood, but without the negative attributes, PVC can be routed or built up to form a plethora of custom designs at near standard pricing. 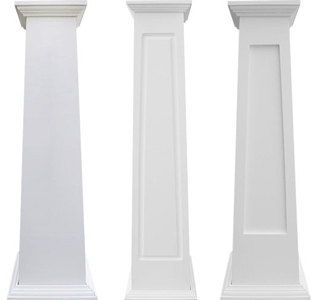 Our square tapered PVC columns come standard with a craftsman cap and base set but we have many capitals and bases to choose from. Other than Tuscan or decorative capitals, the rest of our capitals and bases are available from the same material as the shaft. Since most customers paint our PVC columns, having the complex caps/bases made from poly/marble composite materials doesn’t present a problem. 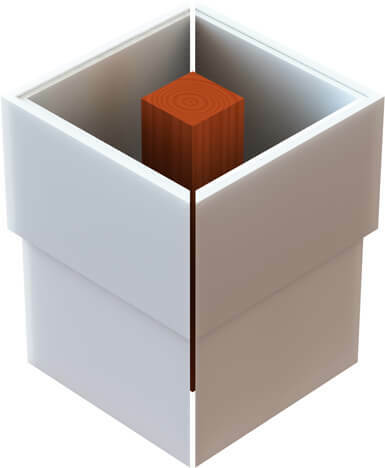 Inside width (S) is based on standard 5/8" thick PVC; inside width increases when 1/2" or 3/8" PVC is used.